Kirk Bell January 4, 2017 Comment Now! 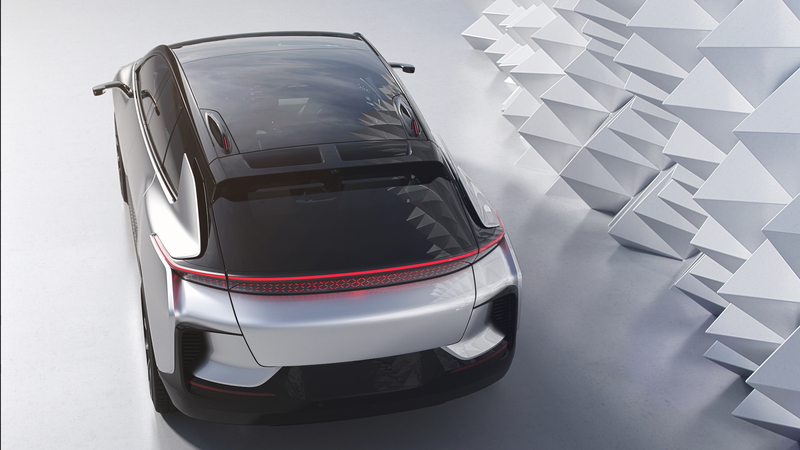 Faraday Future, the startup electric brand with Chinese backing based in Nevada, introduced its first production-intent vehicle today on the sidelines of the 2017 Consumer Electronic Show in Las Vegas. 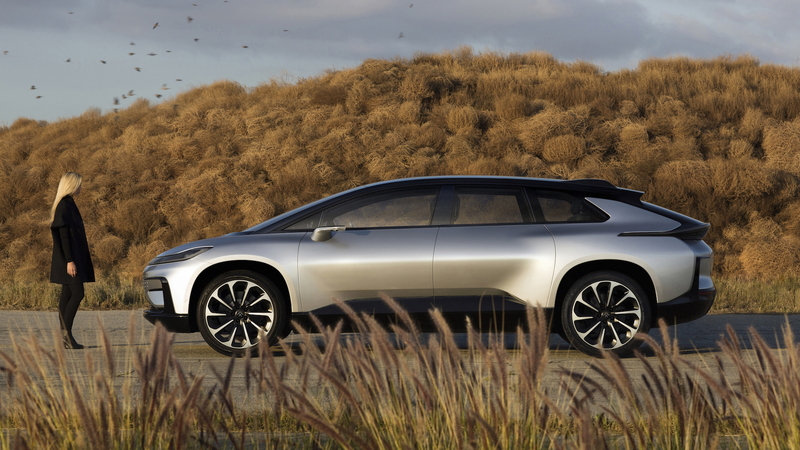 The FF 91 is a crossover SUV that boasts 1,050 horsepower and posts a 2.39-second 0-60 mph time. 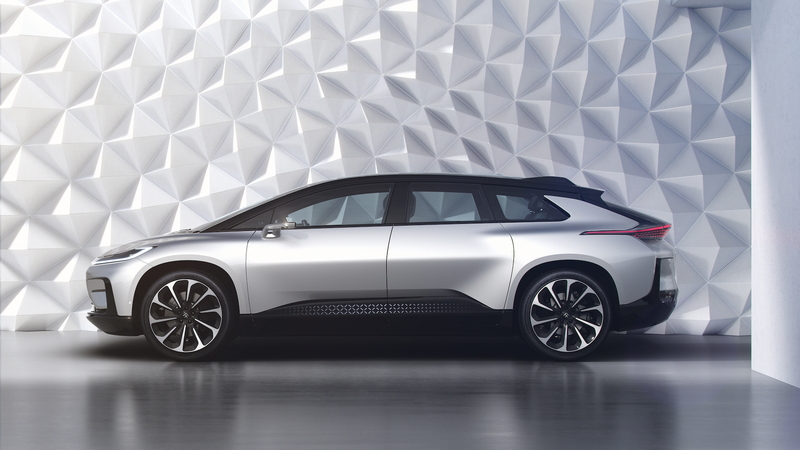 The FF 91 is powered by a multi-motor electric powertrain to give it all-wheel drive. The electric motors draw their power from a 130-kwh battery pack, which will be the largest by 30 kwh when it hits the market. The Tesla [NSDQ:TSLA] Model X and Model S P100D models, with their 100 kwh batteries, currently have the largest electric batteries on the market. The FF 91's battery pack gives it 378 miles of range in the EPA cycle, Faraday says. That would also give is the most range of any electric vehicle. Faraday has designed the FF 91 for an open charging infrastructure, saying it can charge on a 120- or 240-volt outlet, or even a 200-kilowatt fast charger. The company says the home charger provided with the vehicle will achieve a 50 percent charge in 4.5 hours on a 240-volt outlet. The vehicle is built on the company's Variable Propulsion Architecture (VPA), which can be adapted for various types of vehicles. The company plans to offer a sedan and sports car as well. The battery is located in the bottom of the structure to give a low center of gravity. Also incorporated to enhance handling are torque vectoring and four-wheel steering. In addition to the tech involved in the propulsion system, the FF 91 features autonomous driving technology. Faraday claims it has the most comprehensive sensor system of any production vehicle, with more than 30 cameras, radar sensors, and lidar sensors. A notable 3D lidar "puck" on the hood raises when the vehicle is driving autonomously. The FF 91 also features an intelligent self parking system that will allow drivers to get out of the vehicle, activate an app through their smartphones, and let the car go park itself then send a message that it's done parking. Unique exterior features include capacitive touch buttons for door handles that open based on a unique FFID code for each owner, a smart glass roof with an eclipse mode that turns it opaque, dual sharkfin antennae that provide wi-fi hotspots, and 22-inch wheels. Inside, the FF 91 has 151 cubic feet of passenger space. The FFID also learns the driver's seating position, playlists, and schedule. Faraday says the vehicle can stream content, and that it is capable of learning. The propulsion system can also take into account weather, traffic, and road conditions, and anticipate and adjust to the driver's needs. 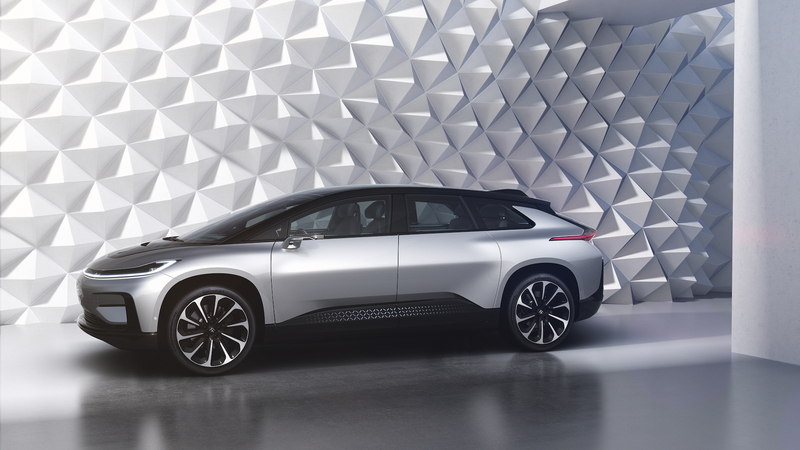 Those interested in buying an FF 91 can register at ff.com to create an FFID and put down a refundable $5,000 deposit. The deposit will qualify buyers for the Alliance Edition models, which will be the first 300 vehicles produced. In March, Faraday will auction off the first FF 91 Alliance Edition. Pricing hasn't been announced, but this is certain to be a premium vehicle priced above Tesla. Deliveries are estimated for 2018. 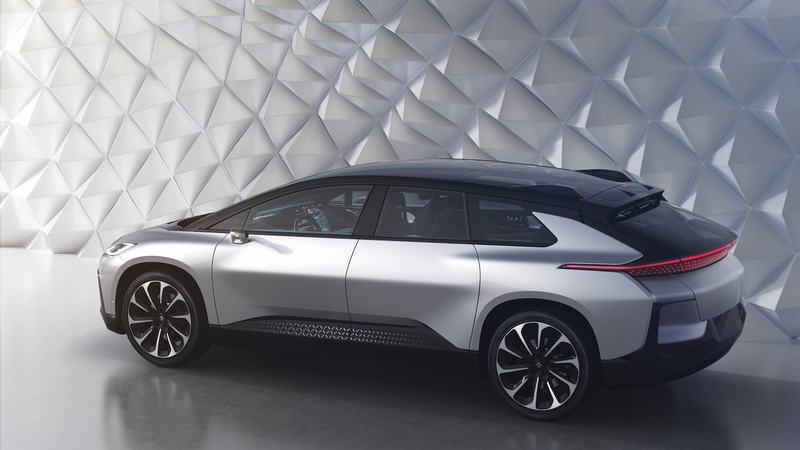 The FF 91 announcement comes among news that the company is running through cash too quickly and is behind on payments for its 3 million square-foot plant in Nevada. Faraday concluded its press conference by saying this car will happen despite the adversity.